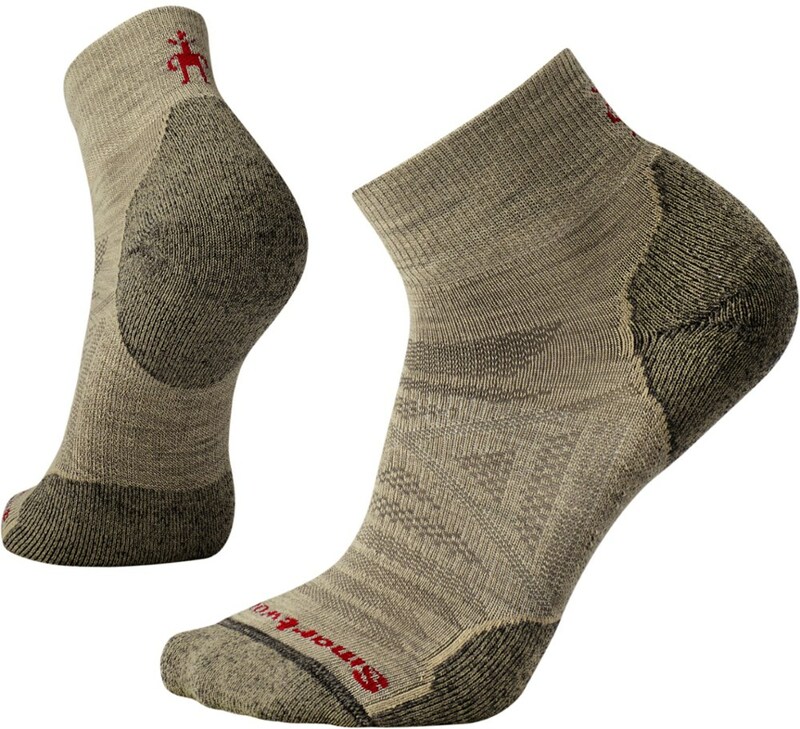 Best sock for summer backpacking — great cushion without heat of wool. Pair on right is inside out — shows cushion under heel and ball of foot. 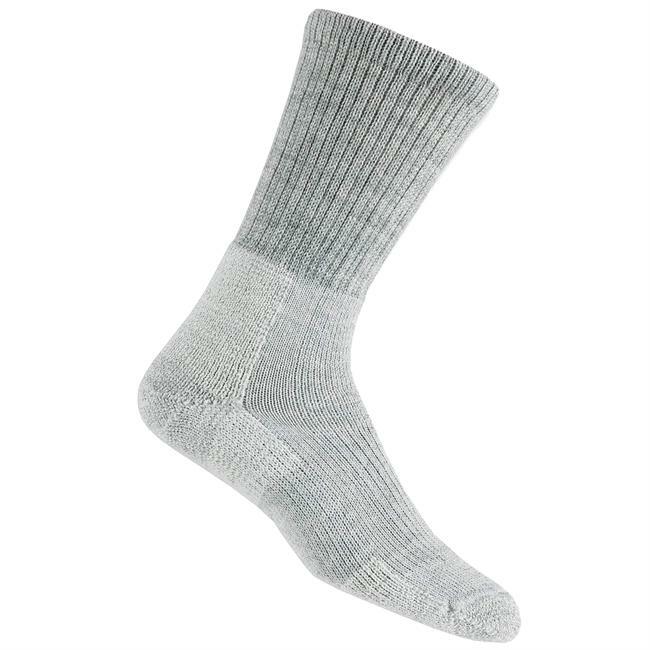 This is my go-to sock for backpacking, no questions about it. 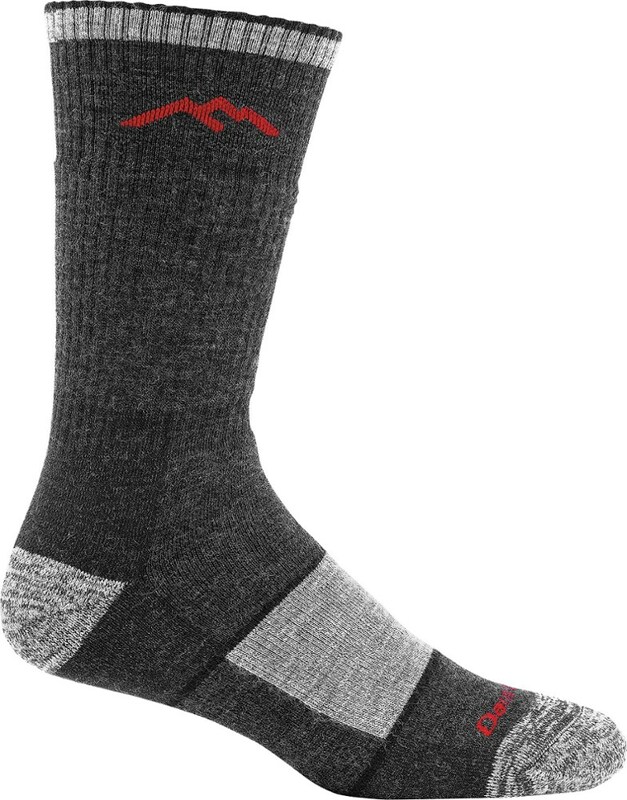 The thick sock provides added cushion that greatly reduces feet fatigue, especially when there are long descents or rocky terrain. 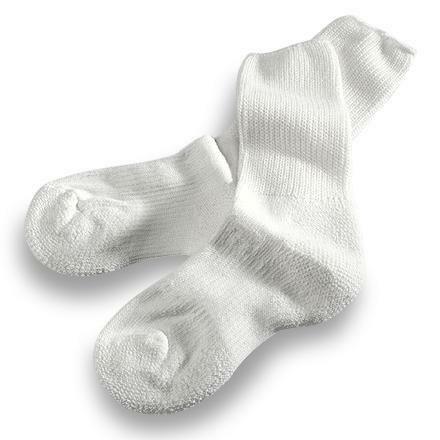 Before using these socks, my feet were always fatigued by mid-day, after just 5-10 miles through mountain or desert terrain with a 35-55 lb. pack. I use a liner sock also, so it is critical to get the right size boot for these socks to work (or any socks for that matter). They are thicker than others, which provides the cushion. On multi-day backpacks, I carry two or three pair, and after a good rinsing, they are ready to perform another day. I have used Thorlos for decades, and their longevity is unsurpassed by others. Darn Tough is in the same category. 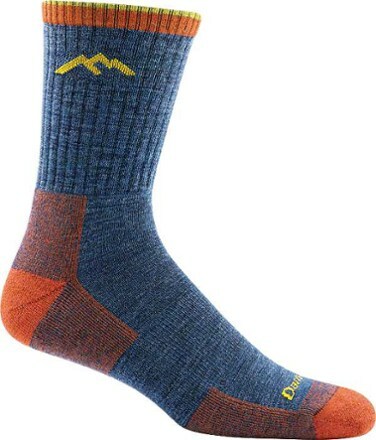 SmartWool is a close second. 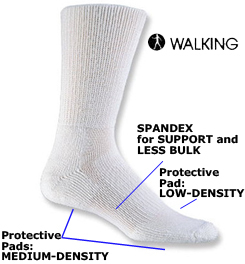 My favorite backpacking sock has changed over time, and previously has been earlier Thorlo models at times. 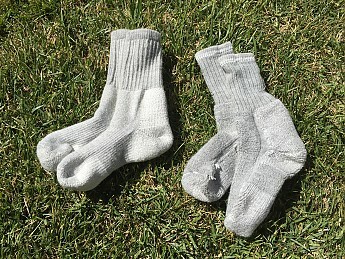 Have tried thick socks from SmartWool, but they are too hot for summer, even in Sierras, Cascades, and Rockies where temps can range widely during the day. Smart Wool fit is also different, and not as good for me (medium too small, large too large). 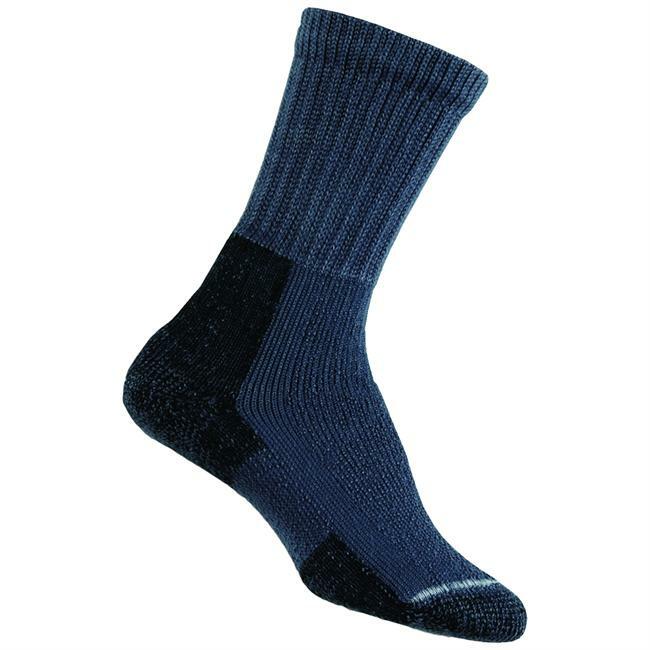 I have used different versions of wool, synthetic, blends, but none match up to the Thorlo Trekking Sock. After trying these Trekking Thorlos a few years ago, they quickly earned the top drawer location. I use these Trekking Thorlos for day hikes that are over 5 miles or that have significant vertical. The cushion provided for the descent is wonderful. On shorter hikes of up to 5 miles or with minimum vertical, I usually use my light hiking boots with either lighter Thorlos or Darn Tough socks. Smart Wool comes in a close third, but I usually use them for around town.